Develop and maintain harmonious relations among all faiths of the world. These pages show the progress made on all the above fronts. For a comprehensive guide to most aspects of the Temple, in the form of questions and answers, please see Q and A. For detailed reports on activities since 1998, see the Annual Reports linked from Publications. In the second half of 1994, five groups of deities were brought from India and placed in the Temple sanctum. The consecration (Maha Prana Pratishta) of these deities, a once-in-a-lifetime event for any temple, was celebrated during June 10-14, 1998 and was a deeply satisfying event for all participants; during this ceremony, the deities were installed in seven sanctums designed by acclaimed architect Muthiah Sthapathi and built under his direction by a crew of skilled workers. In November that year, three shikharas (towers) were installed on top of the building over the sanctum area. The completion of this phase of the temple construction was celebrated with the performance of Shikhara Kumbhabhishekam, the ceremony of worshipfully showering the Kalasha (sacred pot) atop the central shikhara with holy water from Kumbhas (pots), on June 26-27, 1999. Consecration of the planetary deities, the Navagrahas, was celebrated as a 3-day event during Independence Day Weekend 2006 (June 30 – July 2, 2006). 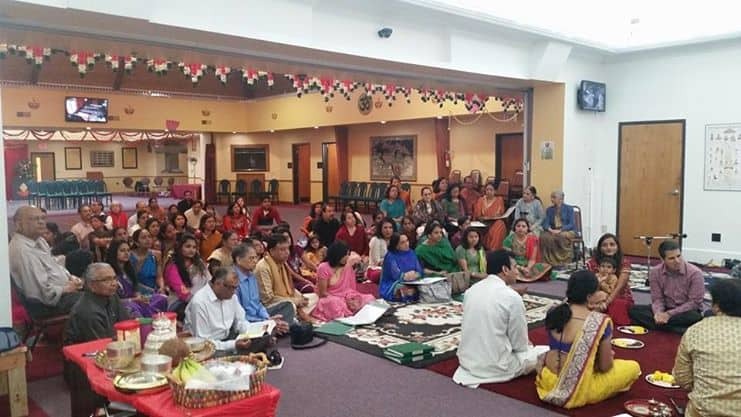 At the request of the Lansing-area Jain families, a separate sanctum was completed in the Temple building in 1999 for installing Jain murtis. 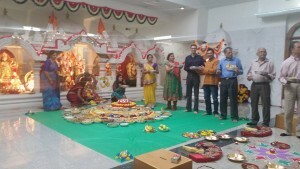 A Svetambar murti of Bhagavan Mahavir and a Digambar murti of Bhagavan Parsvanath arrived from India in December 1999, and their Pratishtha was celebrated during May 26-29, 2000. Since the beginning of 2000, Jain devotees have conducted a Puja on the 4th Sunday of every month at 11 AM and Arati every evening at 7:30 PM. 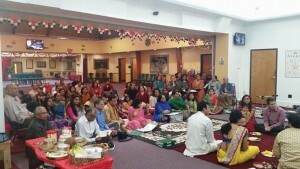 In response to the growing needs of the community, a temple expansion project was started in Fall 2007. The completion of the year-long project in September 2008 added several much-needed amenities: a beautiful acoustic hall, a large dining facility, and several other amenities, which community members are enjoying for various functions. 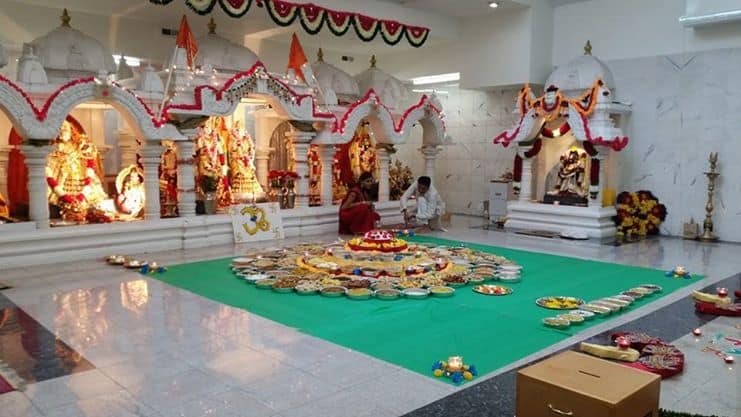 A five-day Maha Kumbhabhishekam ceremony to re-energize the Deities and mark the completion of twelve years of the Temple since the initial consecration of the Deities in June 1998 was celebrated on June 9-13, 2010. The power and sanctity of the Temple depends on such periodic major ceremonies in addition to the daily rituals. 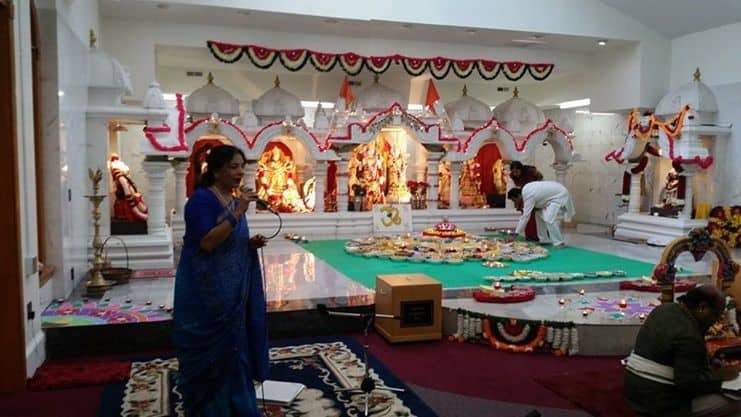 The Temple has brought their community together, providing the mid-Michigan Hindu and Jain community a place to practice their religion, foster spiritual growth, and introduce the Hindu religion and culture to their children and to those interested in learning about them. It was a particularly proud moment for their community when East Lansing High School’s graduating seniors held their Baccalaureate event at their Temple in May 2009. It has fostered numerous religious, spiritual, and social programs (see Temple Events Calendar); it has provided a platform to introduce Indian religion and culture to their children; and it has helped mobilize their community to acts of charity and compassion for others (see Community Services). Moreover, the Temple has been critical to increasing the visibility of their community in the Greater Lansing area. Since January 1998, the Temple has had the services of full-time priests. For most of the time, there have been two priests. Upon the arrival of the priests, the Temple open hours were expanded and a schedule of two Pujas every day of the year was implemented. See priest services for information on how to schedule priest services either inside or outside the temple. If you are residing in or visiting the Lansing area, they invite you to visit their Temple, no matter whether your interest is to observe or to participate. For further information about the Temple, please call any member of the democratically-elected nine-member Board of Trustees. 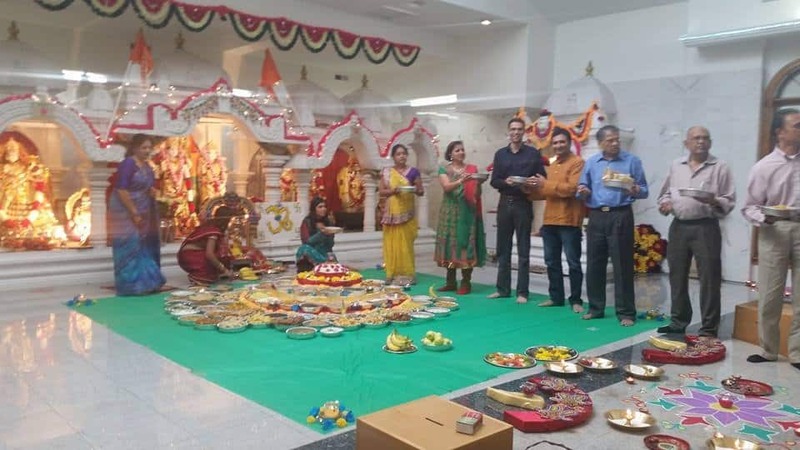 They have created to several Web sites devoted to Hinduism, Hindu organizations, other Bharatiya religions, general-interest topics dealing with India, and Indian stories for children.